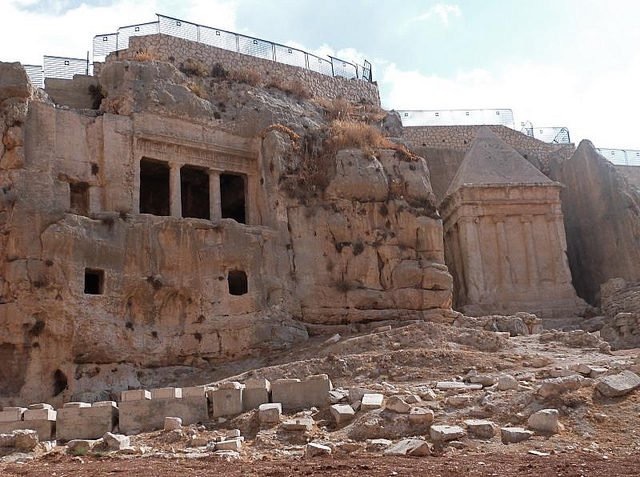 The Tomb of Zechariah is an ancient monument located in the upper Kidron valley, at the foothills of Mount Olives, facing the old city of Jerusalem. Carved from a single stone, the monument was built in the 1st century CE at the end of the Second Temple Period. Adjacent to the Tomb of Benei Hezir, the Tomb of Zechariah is considered to be a great symbol of the Holy City. The tomb does not contain a burial chamber and it has several elements with an Egyptian and Greek influence. The upper part of the monument has a pyramid that sits upon a cornice. On the western side, the façade is decorated nicely and on the other sides of the tomb, the work is rough and unfinished. There are capitals in a Greek style which are decorated with the egg-and-dart decoration and are of the Ionic order. The place where Zechariah is buried is not known, however, there are suggestions that he was buried in the nearby cluster called the tombs of the Prophets. 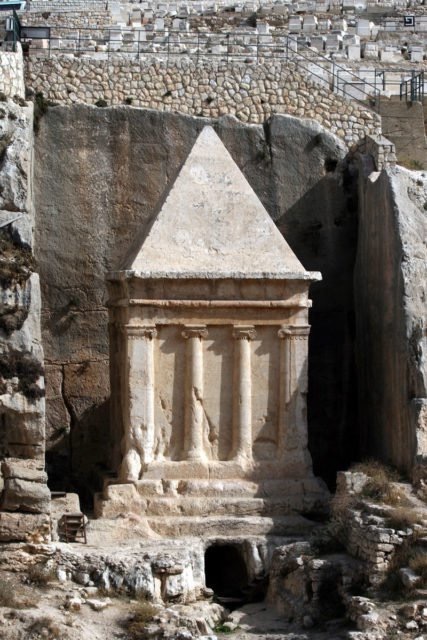 According to the writings of Menahem haHebroni from the 1215 CE, this is the tomb of Zechariah Ben Jehoiada, who according to the Book of Chronicles, had been stoned. He is regarded as one of the Prophets of the Tanakh in Judaism and was the son of the High Priest Jehoiada. At the reign of King Nebuchadnezzar II, Zechariah condemned the people for their rebellion against God and so they turned against him. 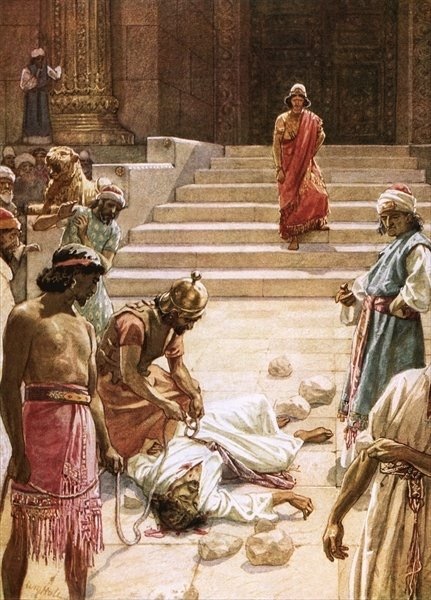 By the orders of the King, they stoned him, and he died “in the court of the house of the Lord”. 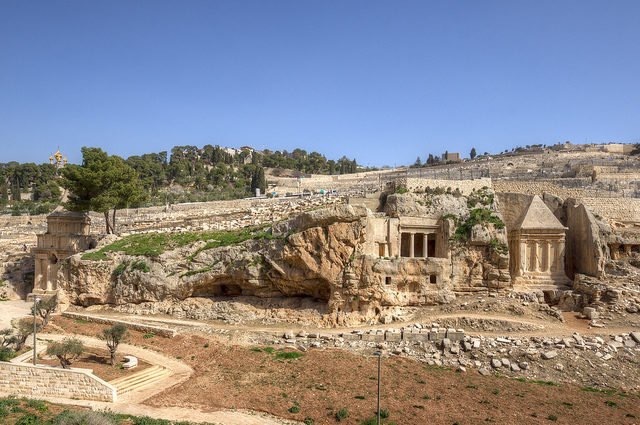 The tomb became a great symbol because of his righteousness and also because it is located in the foothills of the Mount Olives, where the Messiah supposedly took his first steps. The Murder of Zechariah, painting by William Brassey Hole. 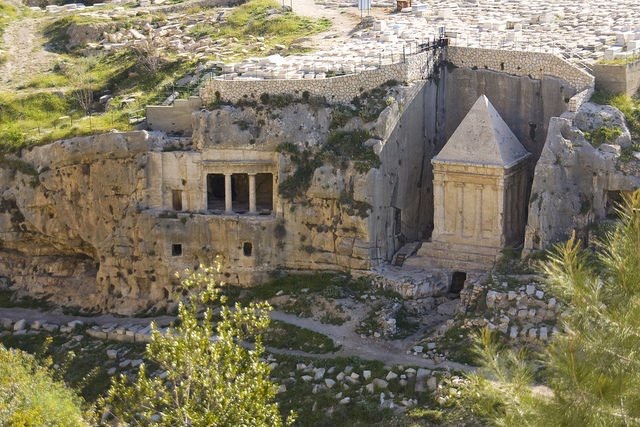 Some scholars claim that it is impossible that the tomb belongs to Zechariah because he lived somewhere between the 7th and 9th century and the tomb is dated from the 1st century. 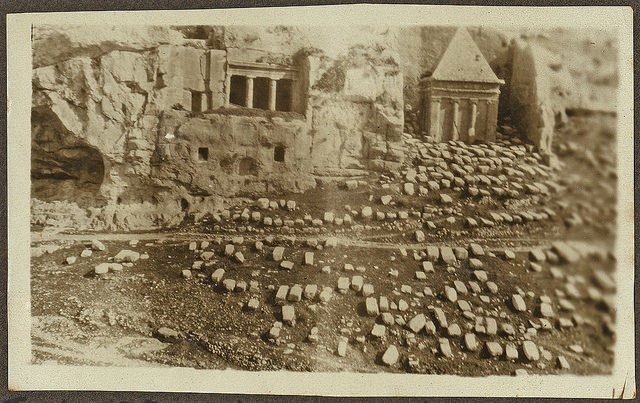 They suggest that the tomb is actually a Jewish funerary monument for the Tomb of Benei Hezir. 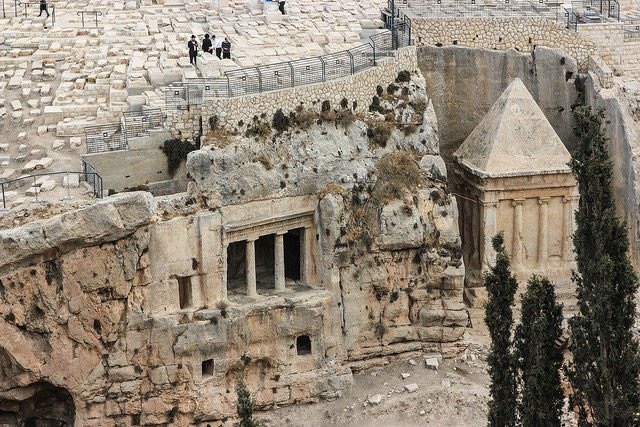 Today, the tomb can be viewed together with the other monuments of the Kidron Valley and those of the Mount of Olives.